I am a freelance designer specialising in creating beautiful illustrative designs for branding and products. My range of illustrated products include greeting cards, prints, lampshades and giftware. My greeting cards are available to purchase through a select number of stockists in the UK and on my Etsy shop. My branding and illustration packages include setting up artwork for signage, business cards, catalogues, vehicle decals ready for print, and as well as graphics suitable for online presence from website and social media. I've used Shopify, Square Space and WordPress to build websites, and for more bespoke custom websites I work with web developers, creating a visual layout and brand guidelines from font choice to colour and style. If you have an idea for a corporate gift or packaging that will delight your customers and add value to your product, but not sure how to turn it into a reality, I'll work with you and offer my creative input. I can work with your sketches and turn them into digital files for printing. 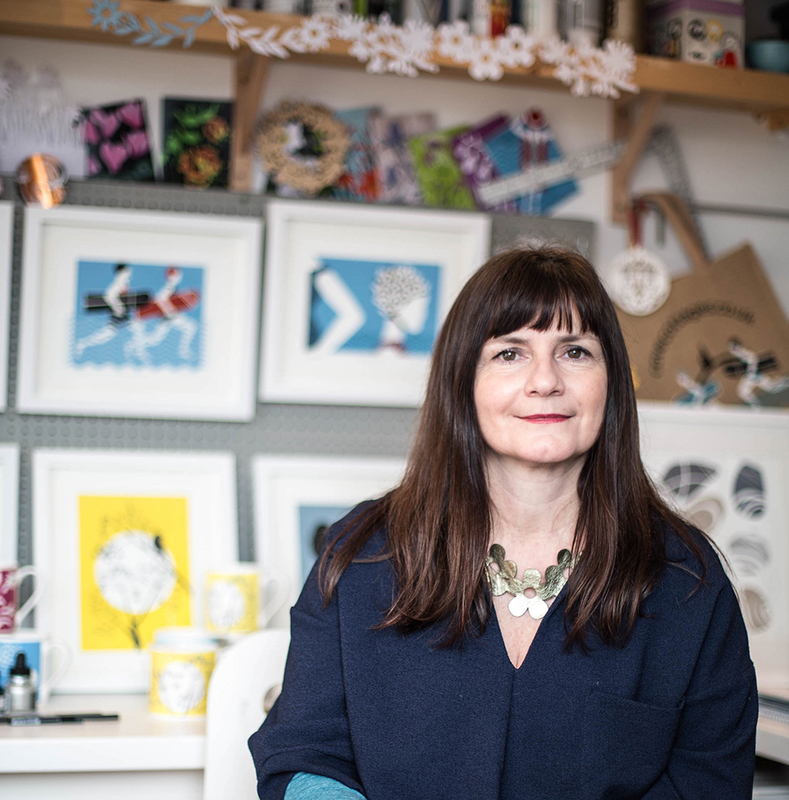 As a designer of my own illustrated products, I've worked with mug manufacturers, laser cutting companies, printer companies for fabric, paper and vehicle decals, I have the specialist design knowledge and the industry connections to help you make the right decisions for your business. Based in Cornwall, my own range of illustrated products is inspired by my coastal countryside life. I started selling giftware and home-ware four years ago, and have exhibited at over 40 events in that time. I create bespoke products to order. If you want a lampshade or fabric for a specific purpose or to match your existing decor, please do get in touch to discuss your requirements. My lampshades, fabric, prints and greeting cards are available to purchase online via Etsy and at events throughout the year. Visit my Etsy shop to find out more.